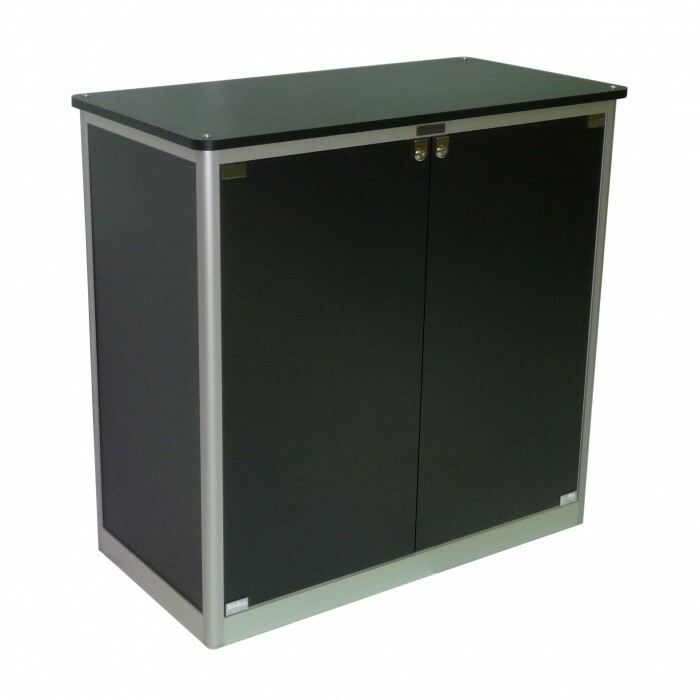 Counter : Black melteca with an anodised aluminium frame. Dimensions : 1000mm high x 1040mm wide x 540mm deep. Features : 2 Lockable doors & 2 fixed shelves.